The GenProBiS web server maps sequence variants to protein structures from the Protein Data Bank (PDB) which has been enriched with protein-protein, protein-nucleic acid, protein-compound, and protein-metal ion binding sites. The server allows intuitive visual exploration of comprehensively mapped variants, such as human somatic missense mutations related to cancer and non-synonymous single nucleotide polymorphisms from 21 species, within the predicted binding sites regions for about 80,000 PDB protein structures using fast WebGL graphics. The GenProBiS webserver is open and free to all users and there is no login requirement. Identification of conserved waters in protein structures is a challenging task with applications in molecular docking and protein stability prediction. We developed the ProBiS H2O approach based on previously developed ProBiS algorithm, which enables identification of conserved water sites in proteins using experimental protein structures from the PDB or a set of custom protein structures available to the user. ProBiS H2O is a robust and fast new approach that uses existing experimental structural data to identify conserved water sites on the interfaces of protein complexes, for example protein–small molecule interfaces, and elsewhere on the protein structures. 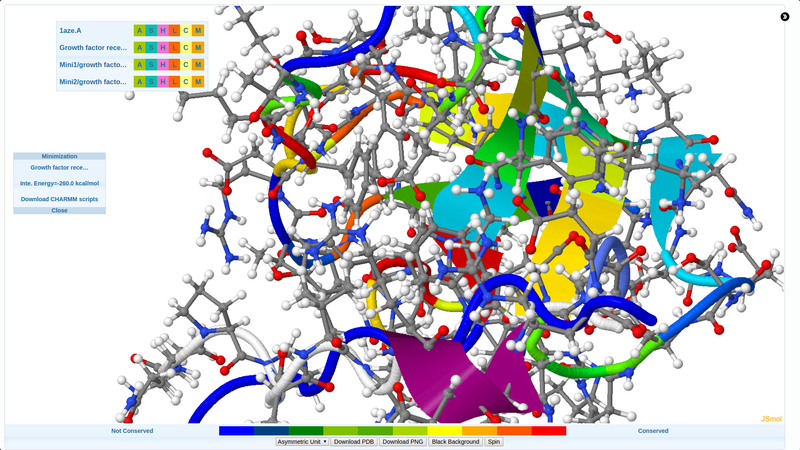 We developed a new web server for prediction and energy optimization of ligands on protein structures. The server optimizes ligands using CHARMM and calculates interaction energy. It also allows creation of input files for CHARMM for minimization and molecular dynamics simulation of protein-ligand complexes. LiSiCA (Ligand Similarity using Clique Algorithm) is a ligand-based virtual screening software that searches for 2D and 3D similarities between a reference compound and a database of target compounds. The similarities are expressed using the Tanimoto coefficients and the target compounds are ranked accordingly. 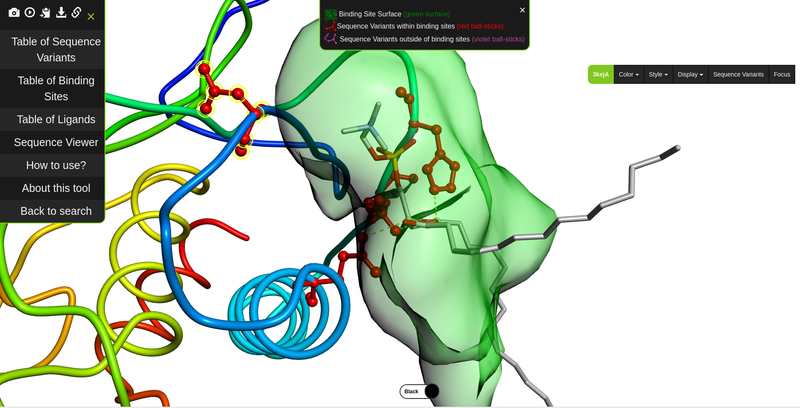 Make sure you check out the LiSiCA PyMOL Plugin too! 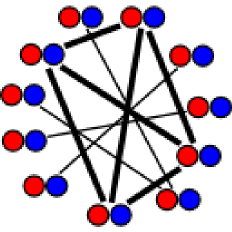 MaxCliqueDyn is a fast exact algorithm for finding a maximum clique in an undirected graph. The C++ code is one of the fastest around. It has been extensively used in bioinformatics and other fields. Our activities range from development of purely graph theoretical algorithms to the development of algorithms directly applicable in pharmacy. We continuosly develop the ProBiS web server for prediction of protein binding sites and protein-ligand interactions. Insilab was created as a repository for open-source software that we developed over the years. It is intended for people who use or develop innovative software for drug discovery. We develop new algorithms for the detection of structurally similar protein binding sites, which are based on the fact that protein surface structures are conserved in binding sites regions. These algorithms search for local similarities in physico-­chemical properties in different protein surface structures independently of sequence or fold. The proteins are modeled as protein graphs, i.e., rigid 3D objects, consisting of vertices and edges. The developed algorithms are used for prediction of protein binding sites and ligand transposition in PDB protein structures. We focus on pharmaceutically interesting proteins that could become targets for the next generation of pharmaceuticals. We collaborate with various experimental laboratories and pharmaceutical companies. We perform experiments in silico, to eliminate as many as possible real experiments. We are not intimidated by challenging projects that involve a lot of programming, or cutting edge industrial projects. We are highly professional, experienced team of scientists and programmers that strives for highly professional attitude, and who above all love great software.